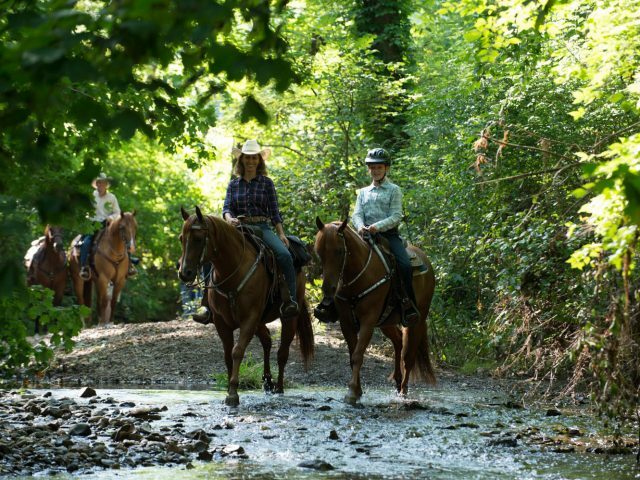 A few weeks ago, I attended an extreme trail clinic with my Thoroughbred/Appaloosa, Indy. What may surprise you, however, is that neither Indy nor I have ever done anything like that before! If you follow our blog posts, you may remember my background and training is mainly in the English discipline. 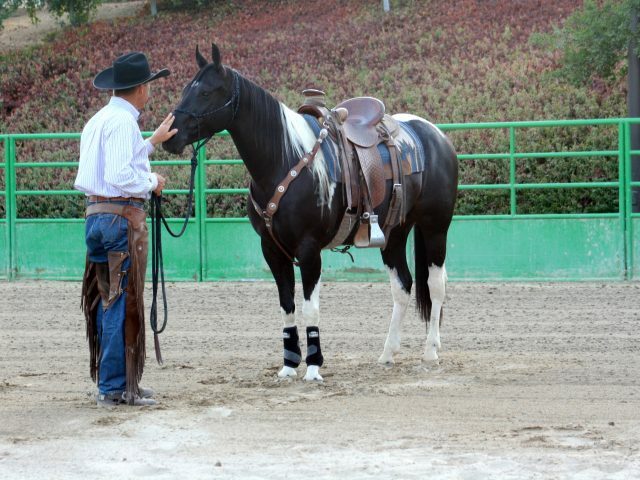 My sport of choice used to be Eventing, a combination of Dressage, Cross Country and Stadium Jumping; however, after a life altering injury, which I discuss in a previous post, I have now chosen a different path learning all I can about various western sports such as ranch sorting, extreme trail competitions, reining and team roping. Indy is a unique horse. Due to his cross breeding, he has the power and stamina of a Thoroughbred but the stubbornness of the stereotypical Appaloosa. He loves to jump and trail ride, but like many horses, he can get easily distracted and bored if not challenged. Finding fun and creative ways to challenge him becomes increasingly harder the more we work. Just like my horse, I get bored of doing the same thing day in and day out, and try to challenge myself to learn new things. So, when I saw the extreme trail clinic flyer online, I thought it was a good opportunity to challenge us both! There is this stigma in the horse industry that a horse needs to be specialized. 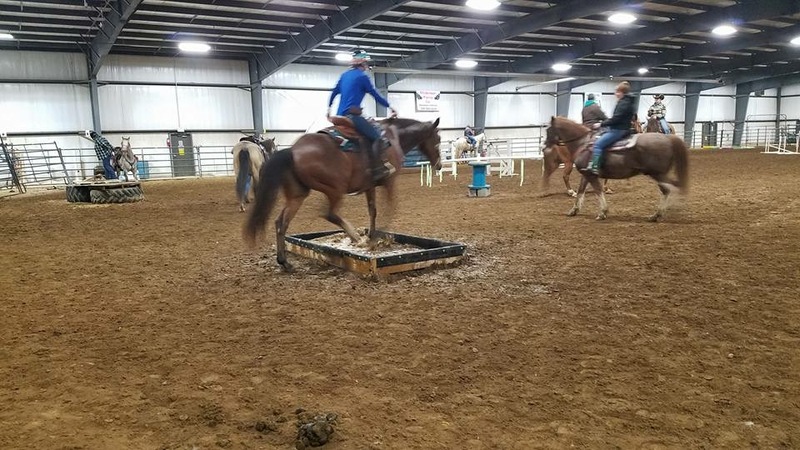 You have barrel horses, reining horses, trail horses, hunters, jumpers, dressage horses…. the list goes on. But whatever happened to the versatile horse? Not that I’m saying those specialized horses aren’t absolutely fabulous at what they do, but for someone like me, the average horse person, who doesn’t have the funds to own 20 specialized horses or has the main goal to go to the Olympics or World’s shows, why can’t my horse do a little bit of everything? Circling back around to what I REALLY wanted to talk about – the clinic! There were pool noodles, tilting bridges, balloons, colorful tires, spinning objects, tarps and water obstacles EVERYWHERE! “Boy,” I thought, “What did I get us into? ?” Indy quickly became known as the horse with flair. He’s the kind of horse that looks wide eyed, arches his neck like a stud and snorts at new things. I’m not going to lie, I came in very skeptical that we would be able to attempt half of the objects, however, I wasn’t going to let him know that! We started on the ground, walking up to every obstacle, reassuring him that it wasn’t that scary. I showed him that I wasn’t scared, so neither should he! I like to think that we both hold a lot of trust in each other, which helped him get past the obstacles. But of course, even trust has it’s limits. There was one obstacle in particular that was particularly challenging. This obstacle was a water box, where when you stepped in the water, the base of the box shifted and spurted water upward like a fountain. 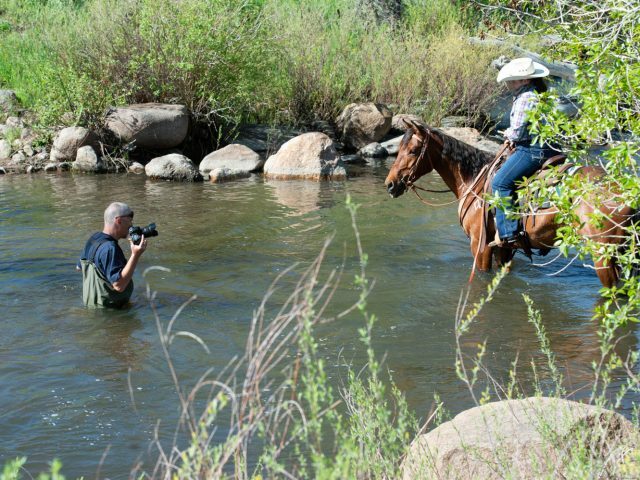 I’ve ridden Indy in rivers, lakes and even in the ocean! But for some reason, he hates puddles…. and this box looked very much like a muddy puddle. After about 30 minutes on the ground and with the assistance of a few people as “wings”, we finally got Indy to walk through the water box on the ground. We may have won the battle, but we had not won the war yet. I stepped into the saddle and proceeded to try a few other obstacles that he was more confident with while we were on the ground. He was fantastic! His mouth was supple in my hands and attentively listened to my every cue. He stayed relaxed and we worked through the various obstacles like an old pro…. until we came back to that water box. Much like when we were on the ground, he balked, ran from side to side, stepped a foot in only to shoot it back out, snorting the whole time. I kept my cool and redirected him back to it, encouraging him more. Of course, the horse with flair had to overachieve and instead of walking thorough the box like a calm sensible horse, he leaped off his hind legs and soared over the obstacle, like the true jumper he is. “Well that was progress” I chuckled to myself. Not long after that with more calm reassurance from me, he finally accepted his fate and walked through the box calmly! This just shows you, even the most unlikely horse can become versatile if you are determined enough to both you and your horses’ development. Since this trail clinic, I have been playing around with other obstacles and even working on swinging a rope off him. I will absolutely say that cross training Indy to do multiple jobs has been the best thing for his mind as well as it builds our relationship as a team! Keep an eye out in the coming weeks for me to give you an update from a roping clinic we’re attempting in May! So, from Indy and I, go out and learn something new! Main photo credit to Stacy Widder, of Perfect Horse For You. 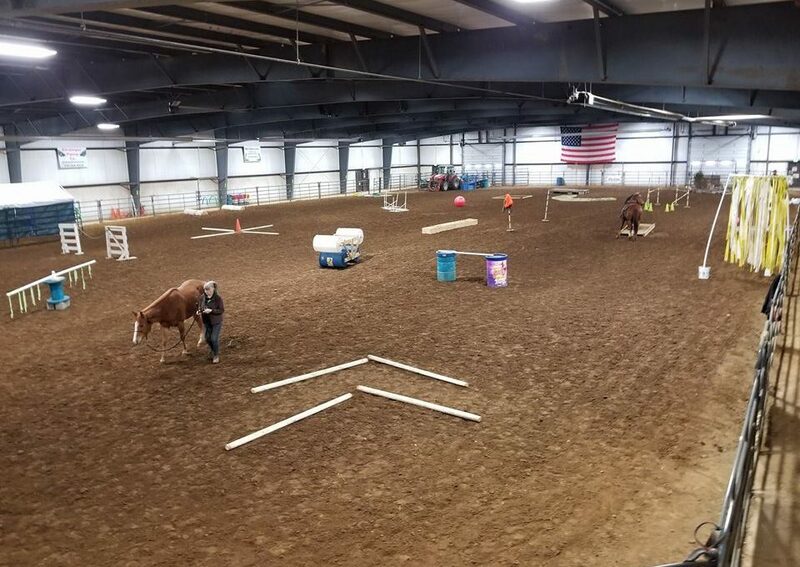 This is a Fantastic facility our daughter rides at Riverland Arena an has attended more than one of the Stacie Widder’s wounderfull clinics. The combinations of people really are magical here as there are so many different things to do with and for your horse is amazing.